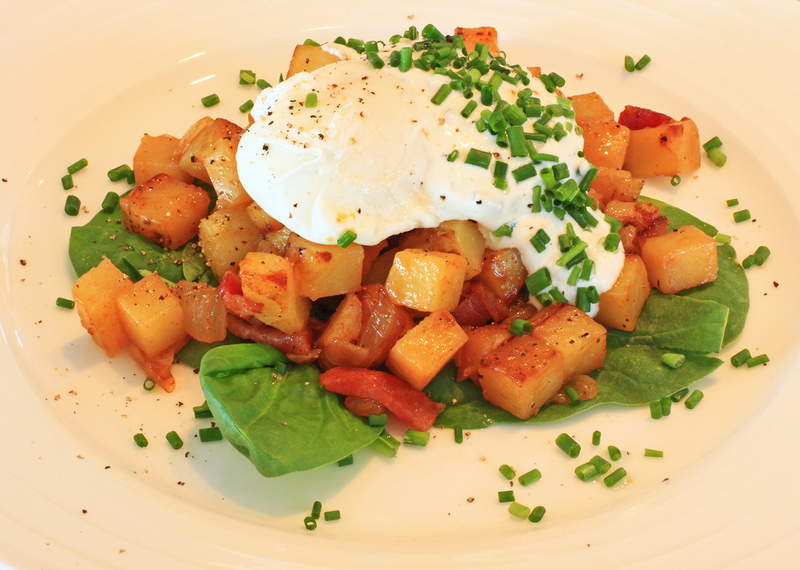 potatoes, onion, bacon hash on top of fresh baby spinach, poached egg on top, add a dollop of sour cream with white truffle oil (from Fiore) and chives! when the egg yolk breaks and mixes with the flavors, delicious! Ohh yum! Sounds delish, will have to try it. Nancy, I did use your truffle oil 🙂 it certainly WILL be in the cookbook!! LOVE IT!